The Surface Pro 3 shows improvement over previous Surface models--from the screen (larger) to the form factor (thinner) to the weight (lighter). 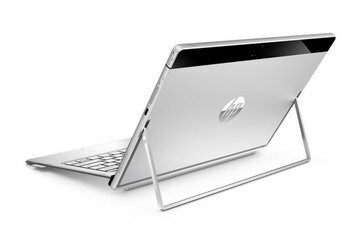 Despite its tablet-y nature, it packs all the amenities of a powerful Ultrabook PC. Plus, you get a pen for marking up documents. Microsoft's new kickstand can adjust to any angle, which makes the screen amenable to desktops, tabletops, laps, and other surfaces. "The tablet that can replace your laptop" comes without a physical keyboard, so plan on spending another $130 to get one. The base model comes with a slow processor and limited RAM and storage. To trick it out with all the goodies, you'll spend almost double. There's no ideal place to store that pen. A loop of fabric on the optional keyboard is a clumsy solution. 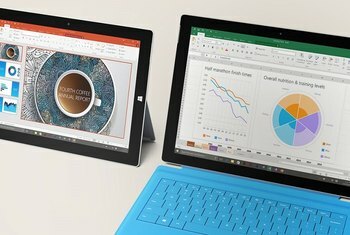 Microsoft's third-generation tablet aims to replace your laptop with something thinner, lighter and faster. Some of those aspirations describe the Surface Pro 3 itself, which improves on its predecessors with a faster processor and thinner design, but its larger screen makes it harder to handle as a straight-up tablet, and Microsoft still doesn't provide a keyboard. The Surface Pro 3 is closer than Microsoft has ever been to making good on its mobile computing vision. After over a week with the slate, I'd go so far as to say that the Pro 3 is closer than any laptop-tablet hybrid released yet. 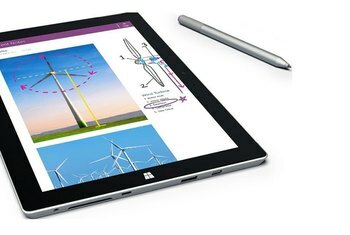 Microsoft calls it "the tablet that can replace your laptop". That's can, not will. If you need a laptop, you should probably still buy a laptop. If you want an iPad, you should go buy a damn iPad Air. It's not a straight replacement for either. It's something more. Something different. The Surface Pro 3’s hardware is undoubtedly impressive. Although Microsoft calls it a tablet, it’s better to think of this Surface as a full-fledged PC that can work as a large tablet in a pinch. More than anything else, the Surface Pro 3 is the ideal physical form for Windows 8.1. One major difference in the new design is the kickstand, which can be adjusted to nearly any angle between 22 degrees and 150 degrees. That's especially useful for tilting the screen way back, as an artist using a drafting table might, but as the owner of normal-size legs for a 6-foot-tall man, I still had a hard time getting the Surface Pro 3 to sit comfortably on my lap. 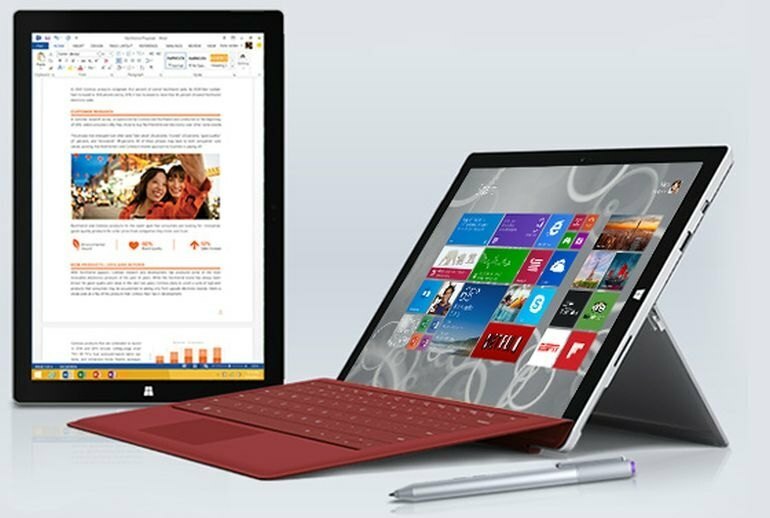 Microsoft combines the portability of a tablet with the raw power and input of a laptop. Despite its imperfections the Surface Pro 3 manages to live up to the claim of being a hybrid. 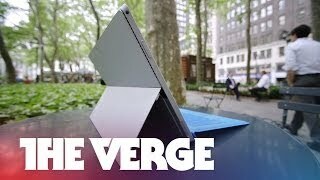 Microsoft says this is the thinnest machine with an Intel Core i7 processor. It may also be the lightest too, at 1.76 pounds. And even if it's not, it's still a meaningful improvement -- both the first- and second-generation Surface Pros weighed two pounds. The Surface Pro 3 also benefits from a better focus from Microsoft’s design team about who the Surface Pro 3 is targeted at. For all the advertising and marketing, the Surface Pro 3 has a narrower target audience and the device is all the better for it. The Surface Pro 3 is a laptop and a tablet. That's the whole idea. But thanks to its larger size—along with the turbo-charged guts—the Pro 3 is clearly laptop-first. And as a computer, the Surface Pro 3 is surprisingly great. It's stable to type on and you can use it on your lap. Unlike the Surface Pro 2, which essentially stuck a new processor in an old system, the Surface Pro 3 is all-new. 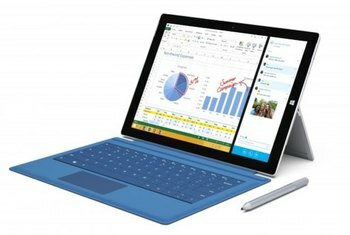 Unlike the Surface Pro 2, the Surface Pro 3 is a reaction to and acknowledgement of at least some of the criticisms leveled at the Surface product range. The miracle hinge is the Surface Pro 3's killer app. 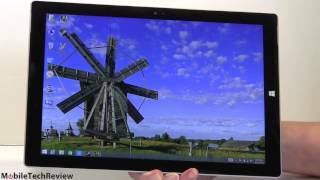 It almost singlehandedly turns the tablet into a credible laptop replacement, allowing a user to tilt the screen to exactly his or her liking while it rests on the lap. In the end, I didn’t see that payoff. 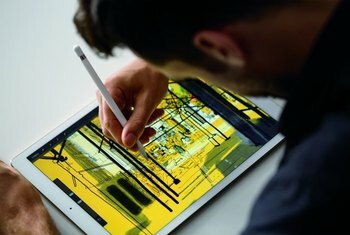 My time with Microsoft’s new tablet computer began with a feeling of minor annoyance and eventually leveled off into a sense of settling for something less than ideal. 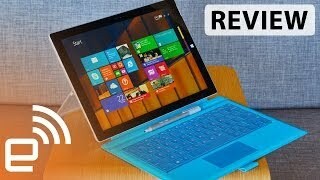 I never felt fully at ease with the Surface Pro 3, and I’m typing this review on the MacBook. On its third attempt, Microsoft has leapt forward in bringing the tablet and laptop together—and bringing the laptop into the future. But the Pro 3 also suffers from the Surface curse: You still make considerable compromises for getting everything in one package. When it’s a tablet, it’s something like an iPad. It has a beautiful touchscreen (now enlarged to 12 inches, a full laptop-screen size), nine-hour battery life, a finger-friendly interface, and an app store full of simple, full-screen apps. This is a great hybrid device. Its powerful enough to do development work and run virtual machines, but also portable and energy efficient enough to use on the road. Tablet mode with Windows 10 is very nice. Despite the 12" screen size, its still small enough to use as a tablet. The only downside is the keyboard comes separate. If you're looking for a tablet that can do everything a laptop can do, this is by far the best choice. With the Pro 3, Microsoft really fixed most of the issues that plagued the first 2 and Windows 10 is turning out to be pretty great. The Wacom stylus is fantastic and creative professionals will delight in using it. However, the touchpad on the keyboard is pretty bad. Luckily, it has a great touch screen interface. 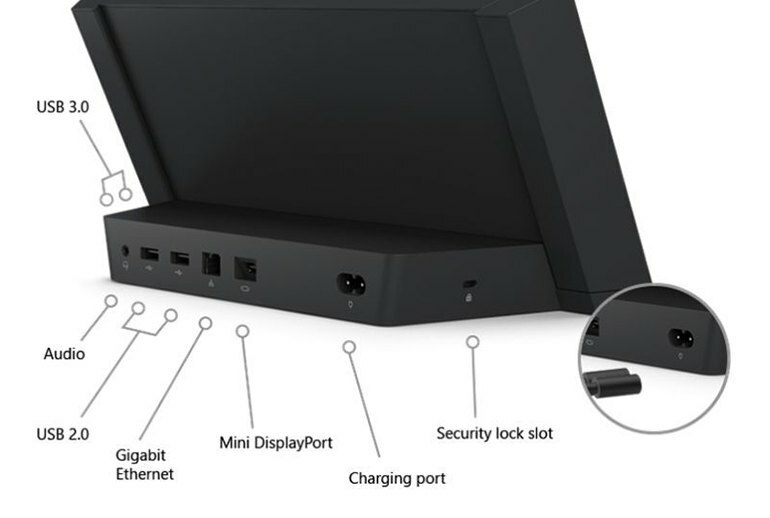 How can Microsoft call this "the tablet that can replace your laptop" and not provide a keyboard? The Surface Pro 3 has some solid hardware, yes, but a 12-inch tablet makes no sense for most tablet-y things, and that brings us back to laptop duty -- which this thing can't perform without the optional, expensive keyboard. Just bundle it already, Microsoft!